The process by which people become members of the Catholic Church. It is primarily designed for adults who have never been baptized, but can be adapted for those baptized in other Christian denominations now seeking membership in the Catholic Church. For more information call Gail at 694-6018 x 4150 or click HERE to visit the RCIA web page. Baptism is an initiation into one, holy Catholic and apostolic church. It is the gateway, or first step in Christian initiation into the life of Jesus Christ and his Church. To assist parents in preparing for the baptism of their child, two sessions are conducted by a team of parishioners and staff. 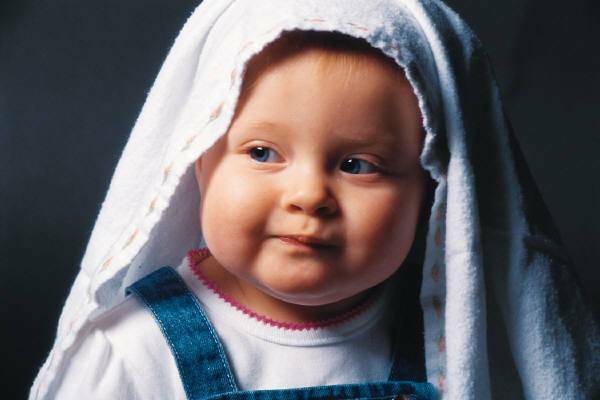 If you are not currently a member of St. Mary Parish, we ask that you join our parish prior to your child's baptism. The first session is held once a month in the home of a parishioner, and the second session is held on Sunday morning at the parish. Arrangements for baptism and for joining our parish can be made by contacting the Christian Formation Office at 694-6018 x 4150. Please contact the parish at least two months prior to the day baptism is planned. First Eucharist is ordinarily received when children are in the second grade. Preparation includes parent sessions and adult enrichment opportunities to learn more about the sacrament, as well as children's formation through the Religious Education Program. For more information, contact Sandy Slivon at 694-6018 x 4158. The O rdinary time for reconciliation is the First and Third Saturday of the month, 4:00-4:30pm. The Reconciliation Room is located at the front of the church on the north side, and provides opportunity for anonymous or face-to-face reception of the sacrament. 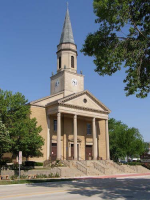 Arrangements to receive the sacrament at other times can be made by calling the Parish Office at 694-6018. First Reconciliation is normally celebrated when the children are in the second grade, prior to making their First Communion. 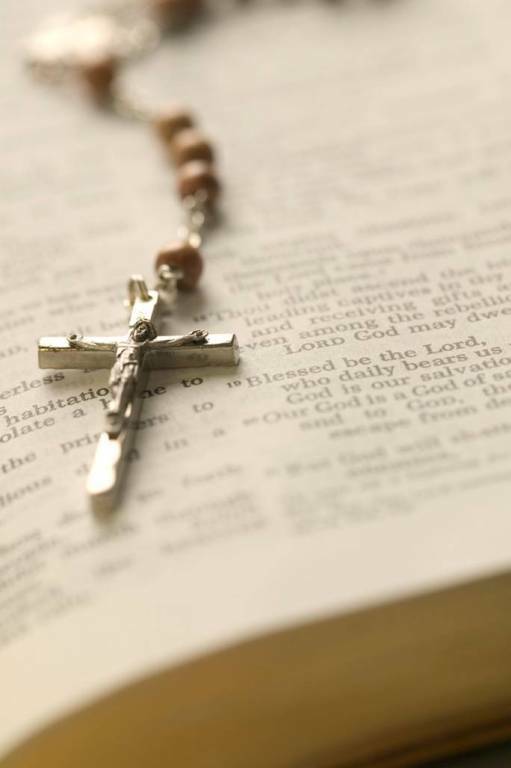 Preparation includes parent sessions and children's formation through the Religious Education program. Contact Sandy Slivon at 694-6018 x 4158. Students share the Sacrament of Confirmation in the junior year of high school or later. Preparation for Confirmation involves study, service hours, worship with the parish community and spiritual growth, especially retreat experiences. Contact Youth Minister Corinne Dillon at 694-6018 x 4157 or click HERE to visit the Youth web page. For those adults who have not been confirmed, but have received Baptism and First Eucharist, or for those adults who are seeking an update on their faith, we conduct a series of classes each Fall and Spring. They are held on Wednesday evening. Please call the Christian Formation office at 694-6018 x 4150 for more information or click HERE to visit the Christian Formation web page. Arrangements for marriages should be made as soon as possible, and at least six months before the marriage date. This allows time for proper evaluation and preparation of the couple. The first step in this process is the pre-marital inventory (a professionally prepared questionnaire), followed by attendance at a large group communications workshop (conducted by the diocesan Adult and Family Ministry Office). The third step is the liturgical preparation of the ceremony itself. Please contact the rectory at 694-6018 x 4152 to arrange to meet with a priest or deacon to start this process. This sacrament of the Lord's strengthening and healing is now not just given to the dying but to all who seek God's blessing in any serious extended illness. Those in nursing homes are anointed seasonally. Others are anointed upon request. Please call the rectory at 694-6018 x 4152 to make these arrangements.